Cherry blossoms at Japanese Friendship Garden. – Cool San Diego Sights! Cherry blossoms at Japanese Friendship Garden. 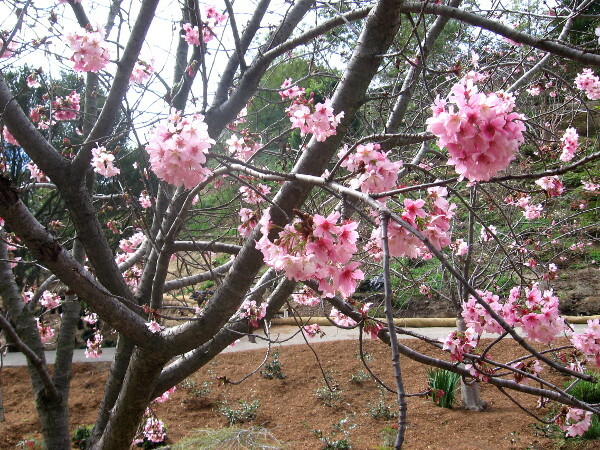 Beautiful cherry blossoms have opened at the Japanese Friendship Garden! Because a big storm is on its way into Southern California, I got my weekend walk in this morning. 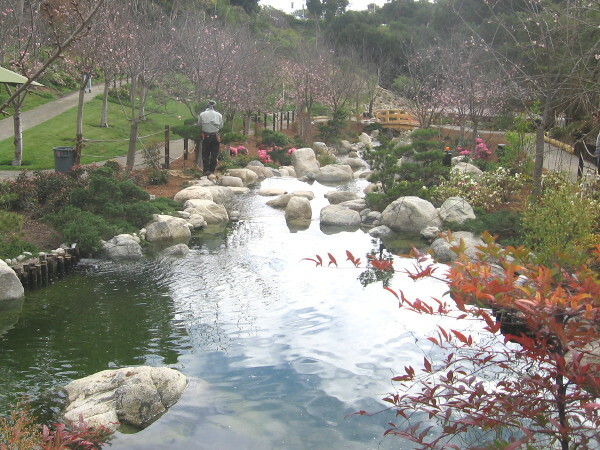 I didn’t want to venture too far and get caught in the rain, so I decided to head up to Balboa Park to check out the cherry blossoms at the Japanese Friendship Garden! 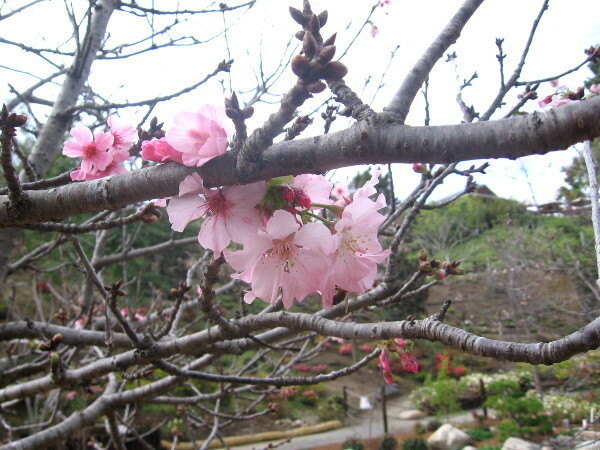 Next weekend is the big, super popular Cherry Blossom Festival. I don’t like crowds generally, so my small adventure today was just perfect! 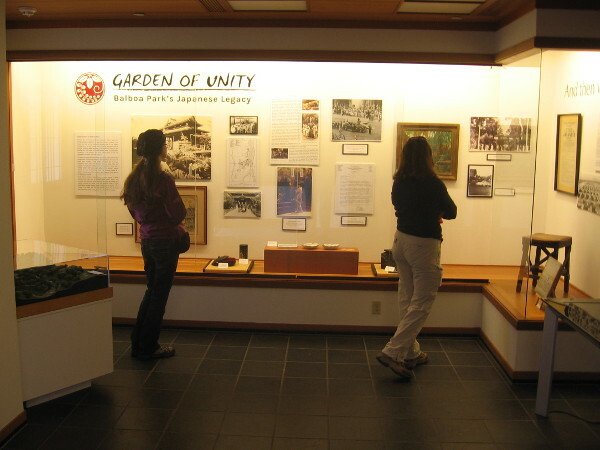 Relatively few people were visiting the quiet Friendship Garden. I guess other folks, like me, were worried about getting caught in a chilly shower. Turns out most of my walk was in sunshine! 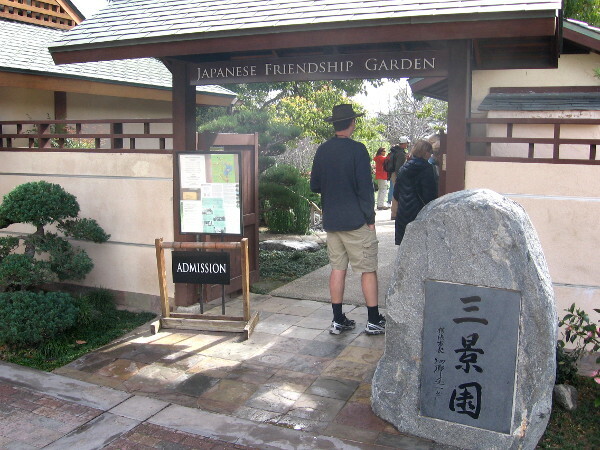 Not long ago the Japanese Friendship Garden occupied just a small narrow spot in Balboa Park, and visitors could see and enjoy everything with a very short visit. No longer! The spectacular expansion into the canyon and additional coming expansions promise to make this a truly world-class garden. 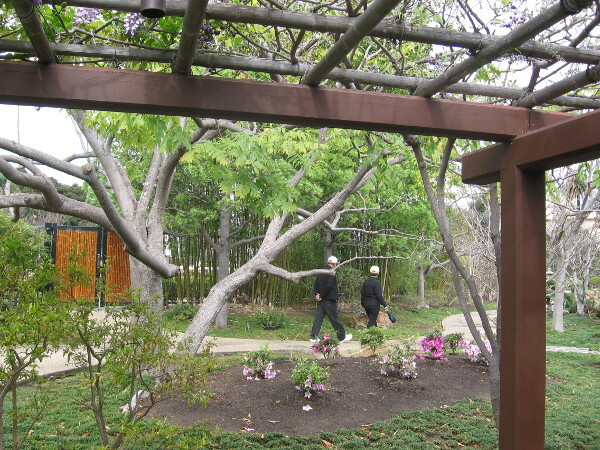 In addition to traditional Japanese garden features and the cherry blossoms, one can walk among many beautiful trees and down shady hillsides of flowers, which include azaleas, camellias and hydrangeas. Anyone with an interest in gardening must go see this incredible place! A shout out to the friendly folks at the garden! 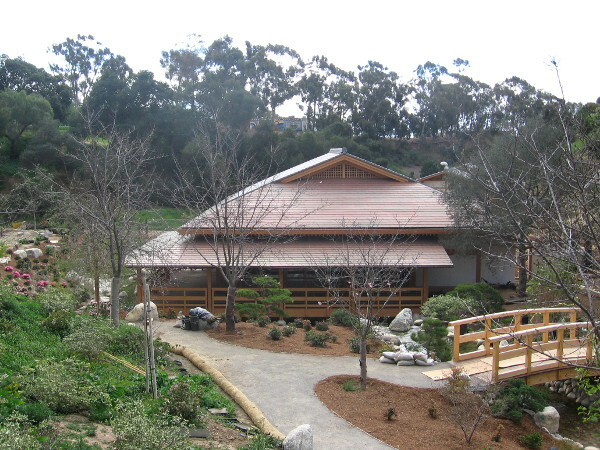 View of the Japanese Friendship Garden expansion in Balboa Park canyon. 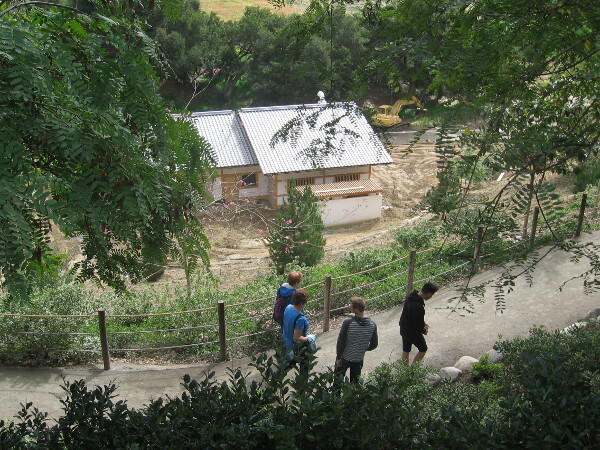 The above pic was taken from a viewing deck between the House of Hospitality and the Tea Pavilion. We’ll be heading down there in a bit! 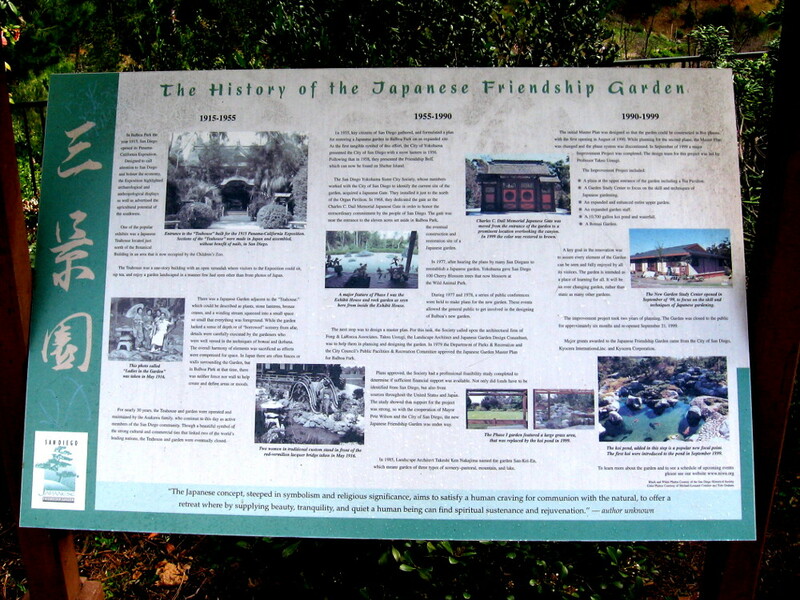 Sign near entrance explains history of the garden. 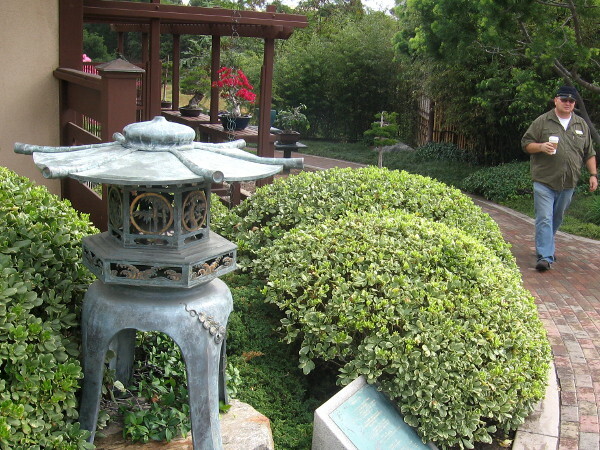 In 1915 a Japanese tea house was built at another location in Balboa Park for the Panama-California Exposition. 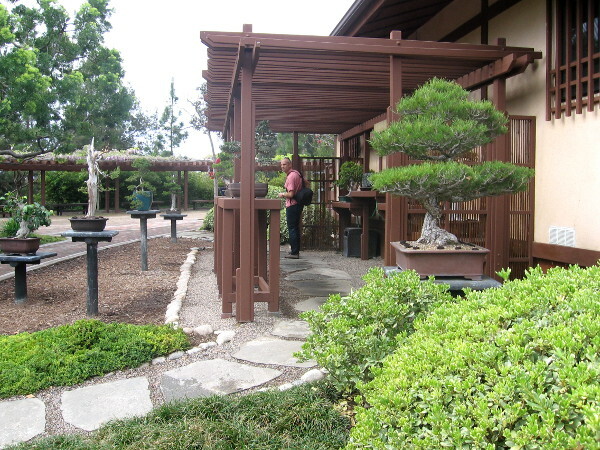 Today’s Japanese Tea Pavilion is next to the Friendship Garden and offers many choices of tea and great food. 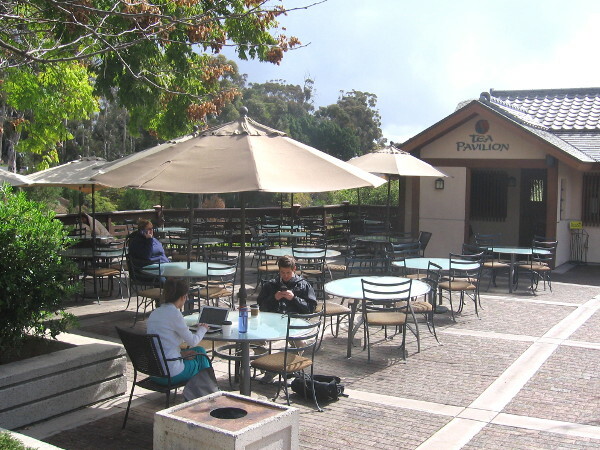 If you’ve ever been to the Spreckels Organ Pavilion, you’ve surely seen the Japanese Tea Pavilion right next door. Next time you enjoy a concert, grab a bite here! 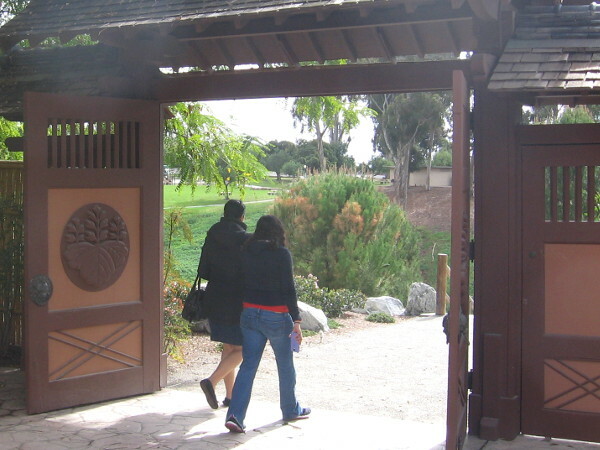 People enter Japanese Friendship Garden. 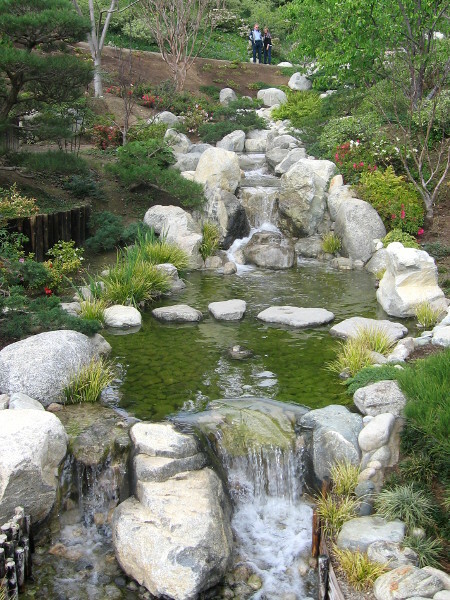 The San-Kei-En entrance stone, gift from San Diego’s sister city Yokohama, translates Three Scene Garden–Water, Pastoral and Mountain. 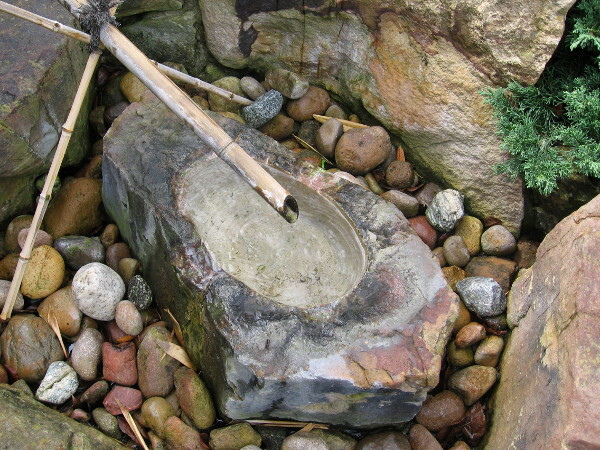 Water gently drips from hollow bamboo, inviting meditation. Visitors check out thought-provoking historical and cultural displays in the Exhibit Hall. The Exhibit Hall includes a room with benches that look out a big window at the Dry Stone Garden. The gravel is raked into simple patterns for meditation. I didn’t want to disturb people, so no photos of that. Oribe-doro lantern. Exhibit Hall with views of Karesansui (Dry Stone Garden) in background. 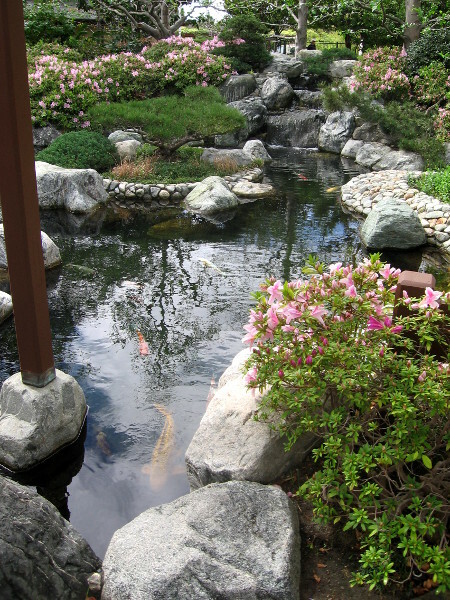 The amazing Koi Pond is a favorite spot to relax and feel alive. 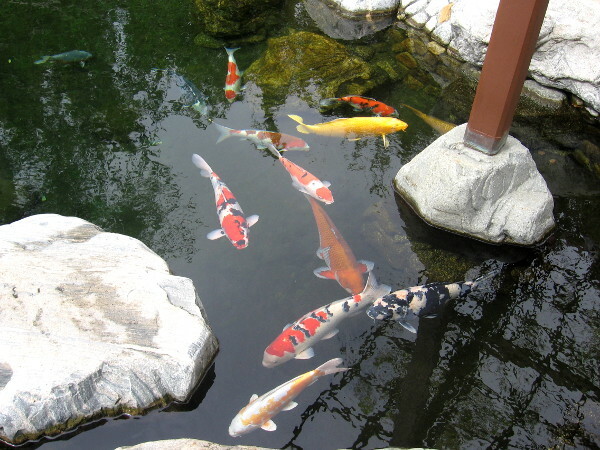 The koi are colorful and curious. They seemed interested in my camera! 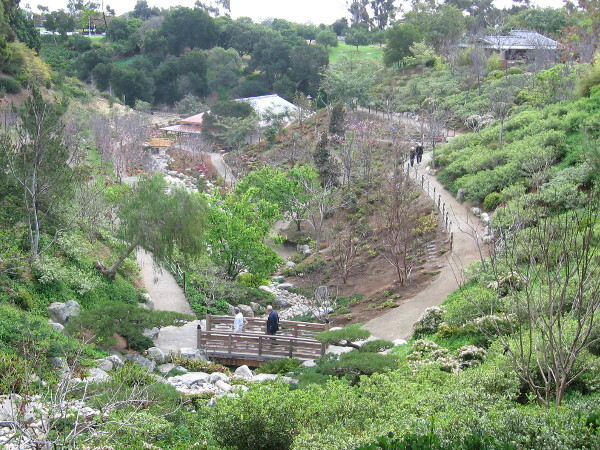 People stroll along a tranquil path in one of San Diego’s most beautiful gardens. 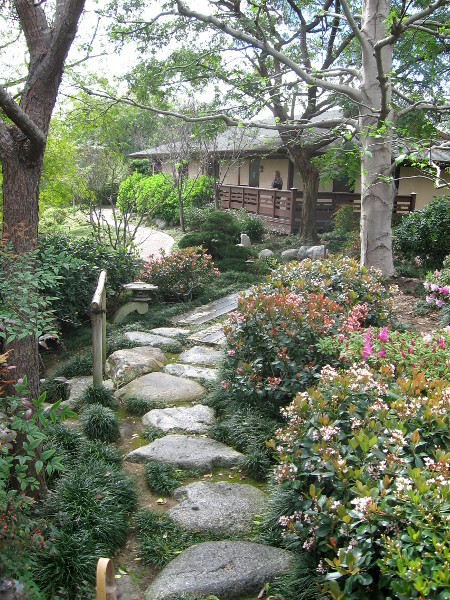 Stepping stones lead toward the Activity Room, where various Japan-related clubs meet. Looking down at a path that leads into canyon. New construction is a large pavilion that will open later this year. 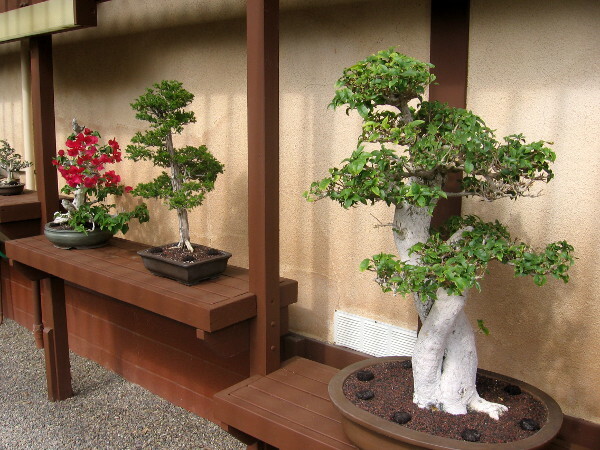 A special Bonsai Exhibit area. 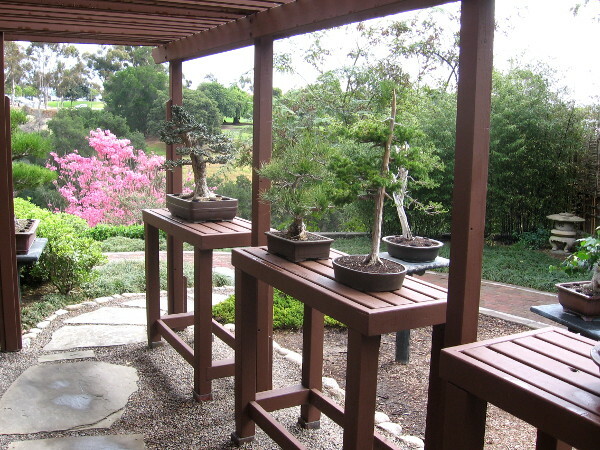 Perfectly pruned bonsai includes a bright red bougainvillea! That bright tree in the distance is a pink trumpet tree. Walking down a path through a scene of carefully maintained beauty. 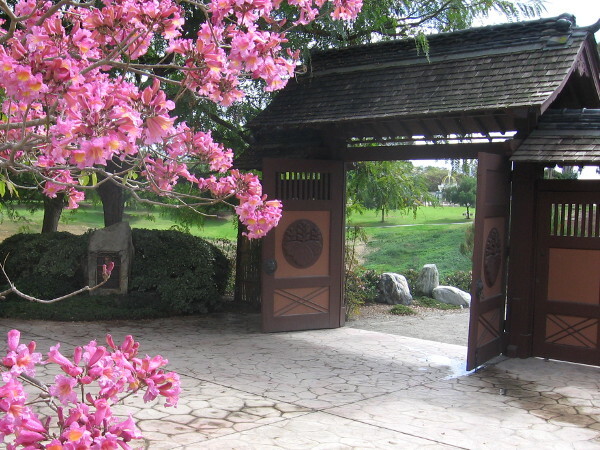 The Charles C. Dail Memorial Gate leads into the canyon, where the Japanese Cherry trees await. That’s another pink trumpet tree! 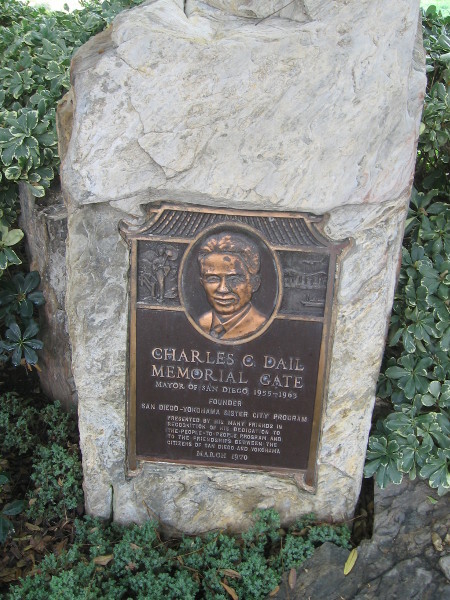 Former San Diego mayor Charles Dail created the Sister City Association with Yokohama. 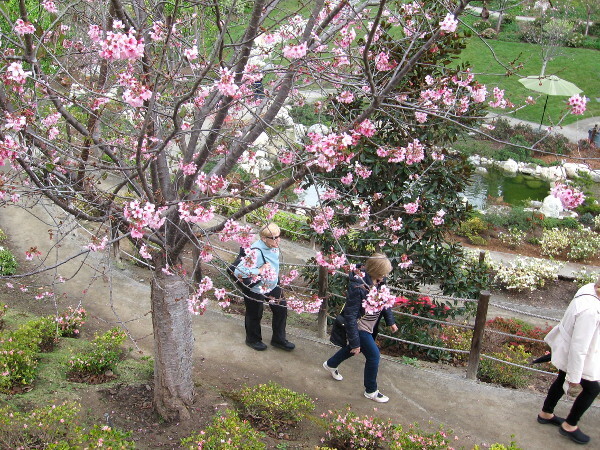 Visitors head down an easy hiking trail to see cherry blossoms and other flowers. 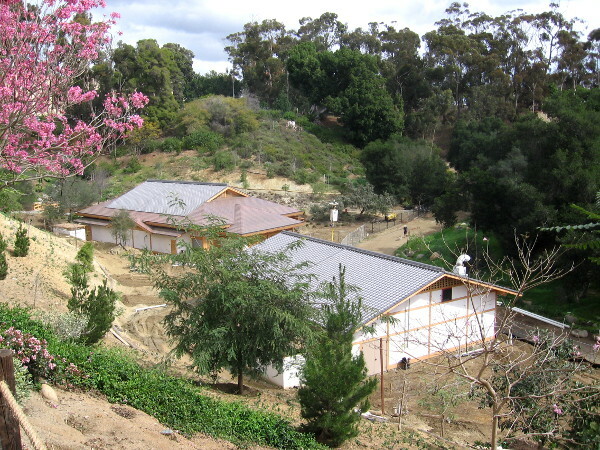 Another look at the large canyon pavilion buildings, which will be finished soon. Here are some cherry blossoms! 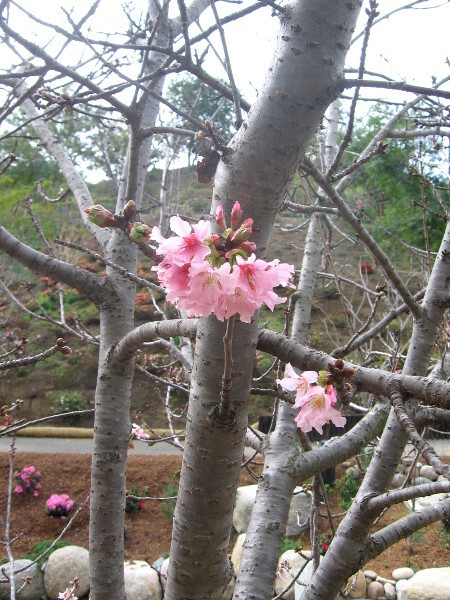 Many are blooming, even though it isn’t spring quite yet! A sparkling man-made river runs through the canyon bottom, surrounded by a gorgeous landscape. A waterfall and gurgling, bubbling water put me in a thoughtful mood. 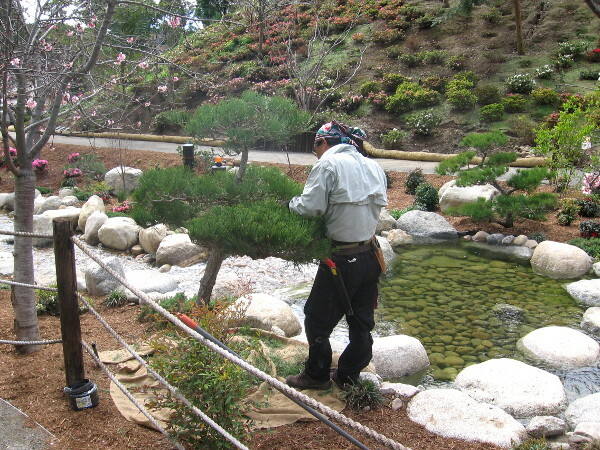 A steady-handed expert gardener tends to one of the many shrubs and plants in the garden. I envy him! 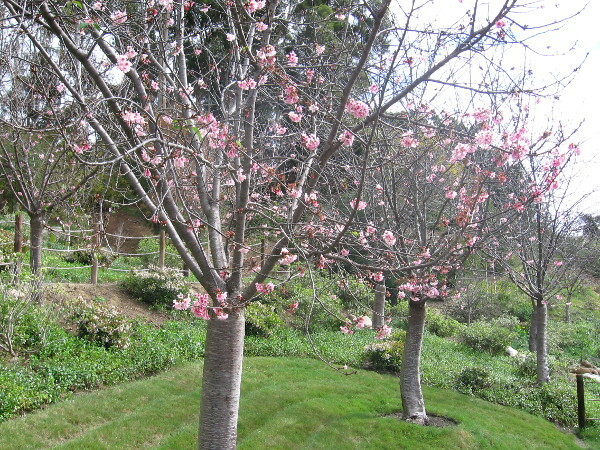 Delicate pink cherry blossoms hover over lush green grass. Gauzy pink blooms seem so new and promising. One last photo of the new pavilion under construction. Looks inviting! 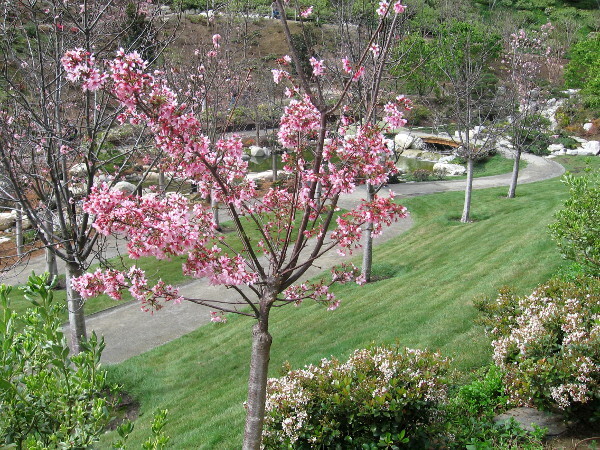 There are about 160 ornamental cherry trees in this grove. I think I’ll be going here more often! 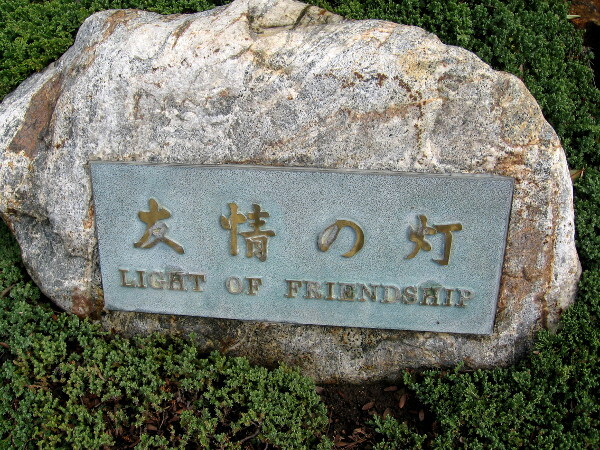 The Japanese Friendship Garden in San Diego’s Balboa Park is a place of beauty. I will look forward to seeing them! Those are some beautiful trees! Thank you for bringing beautiful photos of flowers and green to a snow weary east! 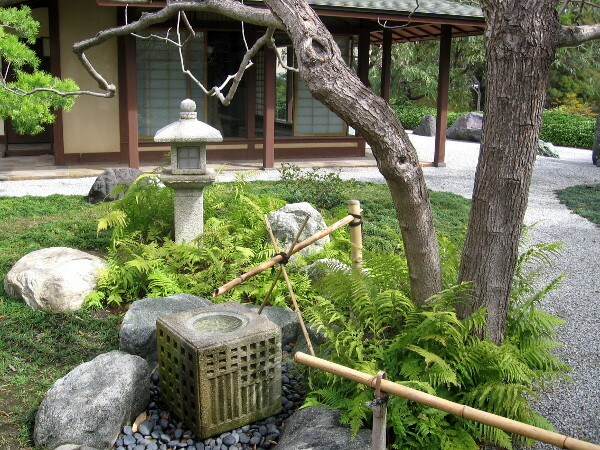 Japanese gardens are always beautiful, and arranged so that they produce the most relaxed feeling. A person can become lost in the tranquility. That is certainly true about this garden! My only quibble is that there aren’t more benches to just sit and soak in the beauty. Previous Previous post: Fun photos of colorful art on Little Italy’s streets. Next Next post: Chargers fans rally for new San Diego stadium.